I typically don’t take much vacation time from work in December. This may sound a bit odd to many of you, but one of the things I really enjoy about this time of year is the quiet in the office with so many others taking time off. It allows me time to work with fewer distractions, but above all it provides me with time for reflection and preparation for the weeks and months ahead. Over the years, I have learned that I need – no, I crave – this time each year. It serves as an opportunity for me to recharge my batteries. As I mentioned I don’t take much time off in December. I think I took 2 or 3 days this year – enough to get in some Christmas shopping and time with the hubby, due to his busier than normal work schedule. Otherwise, I held down the fort with a handful of others. Now, don’t get me wrong, I am not the person to lose vacation time because I did not use it during the year. In addition to having the time to reflect and recharge at work in the quiet of December, I use my vacation time throughout the year to do the same (just outside of work, in those instances). 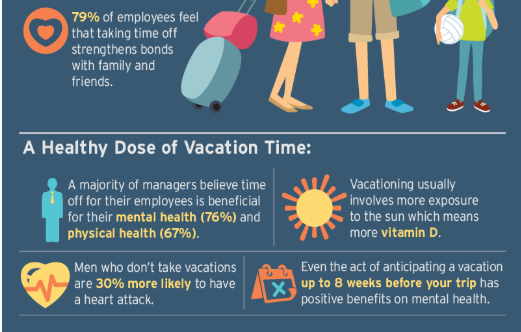 Sadly though, per the U.S. Travel Association, on average, “employees fail to use nearly five vacation days a year” (Kane, 2015). I did a short poll of friends and connections on social media over the last few days and was thankful to find out that there was a mix of methods in which they used time off each year. Less people than I thought lose time (thankfully). 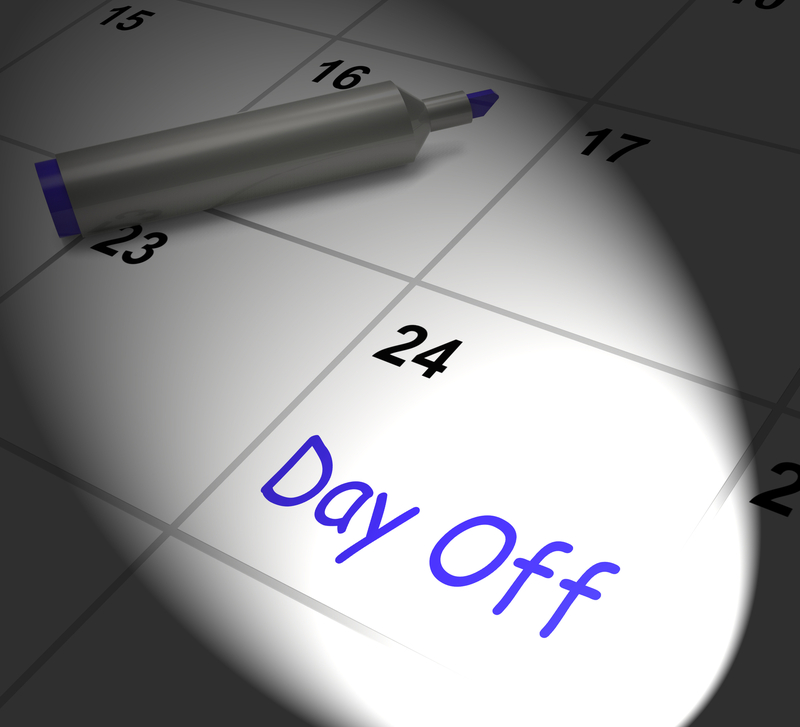 Rather more people use their time off during the year, with many that carry over a few days into the following year. 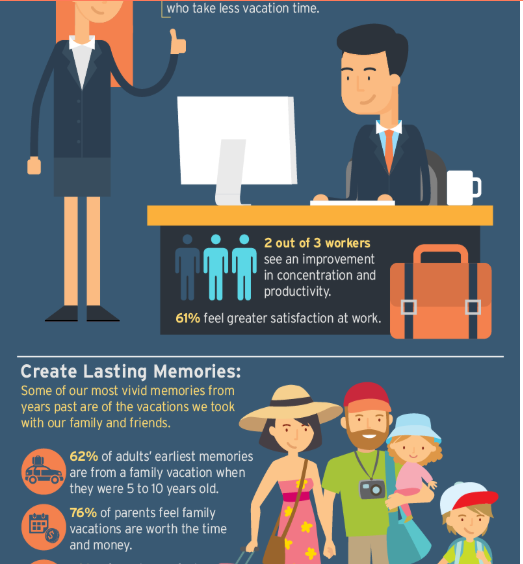 There are numerous benefits to using time off (see image below, Kolowich, 2015).